A squirrel is a small or medium-sized rodent. The squirrel family also include flying squirrels, as well as ground squirrels such as the chipmunks, prairie dogs, and woodchucks. Squirrels are generally clever and persistent animals. Although expert climbers squirrels also thrive in urban environments that are largely free of trees. 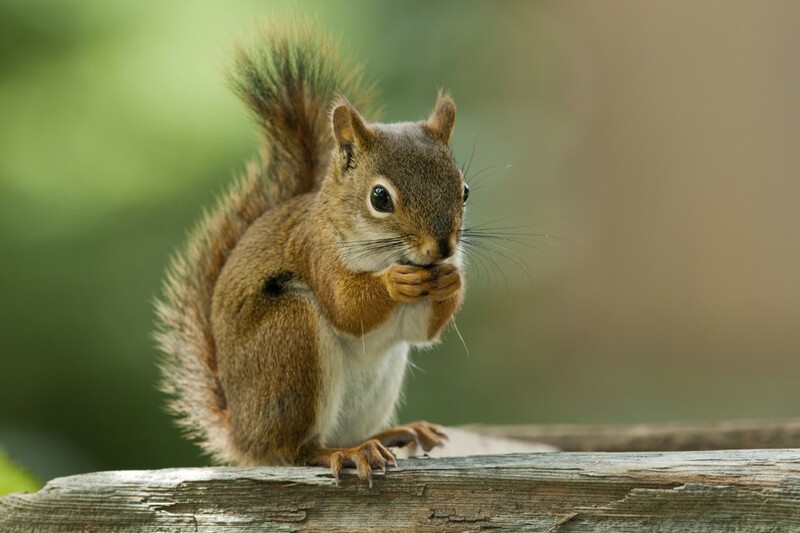 Squirrels are sometimes considered pests because of their propensity to chew on various edible and inedible objects. This characteristic trait aids in maintaining sharp teeth because their teeth grow continuously and prevents over-growth. Squirrels causing problems in your lawn or garden? In residential neighborhoods they are notorious for eating out of bird feeders, digging in potted plants or digging up bulbs either to bury or recover seeds, and for inhabiting sheltered areas including attics. 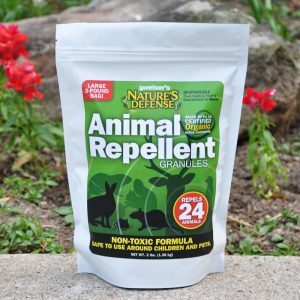 Nature’s Defense is the most powerful form of Squirrel Control available today and your natural solution that is easy to use and guaranteed to work. Now you can use the same research proven formula that professionals use as part of their animal control business. 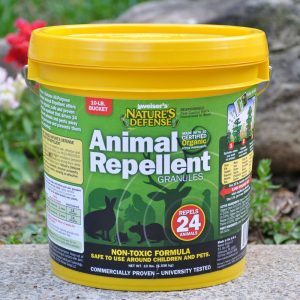 Controlling rabbits is easy by simply sprinkling Nature’s Defense organic formula around the area you want to protect; your squirrel problem will be solved quickly and easily. 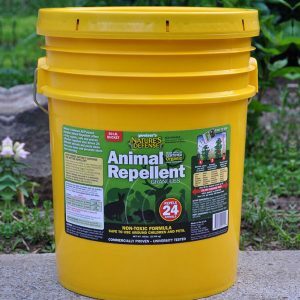 Sprinkle Nature’s Defense granular animal repellent directly over and around the areas that the squirrels are causing damage too. Apply Nature’s Defense twice a week for the first two weeks, then once a week for maintenance.